A retired designer of the Scrapping Garden. I just made layouts using my designs and other designers works. 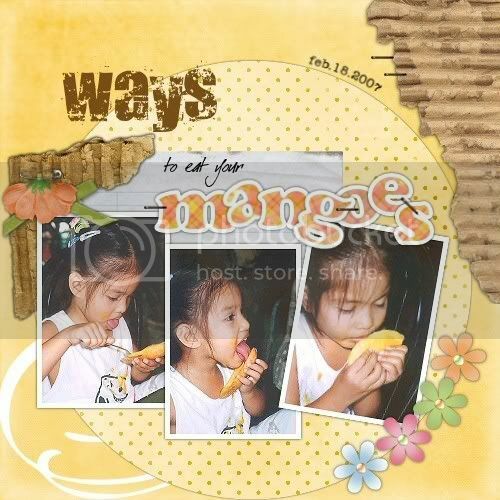 I'm a digital scrapbooking addict, i used to sell my works at the Scrapping Garden but i am a retired designer now bec. i am too busy. I'm hoping to design again in the future. I will put my past kits as freebies if time permits. TSG Store is open again! Just had time to finish a layout. This is my nice Reign . Papers and elements are from my different kits you can find at TSG. Cherry's Blog: "Thinking Out Loud"
My Space. My Journey. My Life. Somethin' good is comin' up!